Southerners know that fried catfish is the other white meat! Southerners love a good “mess” of fish and catfish is a favorite in the South. Add some hush puppies and coleslaw and you got a mouth-watering meal. I usually fry my catfish in cornmeal but flour is good, too. We like it both ways! Fish always makes a great dish to serve family and friends. You can double or triple this recipe if making a big batch. 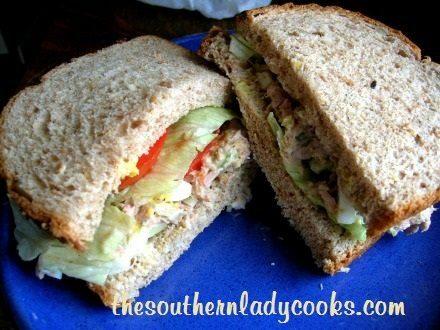 Be sure and check out my coleslaw and hushpuppies by clicking on the links provided below or use the search box on any page to find what you are looking for on our site. Place fillets in a 9 x 13 pan and cover with milk or buttermilk. Let soak for about an hour in the refrigerator. In a large bowl mix flour, salt, pepper, and garlic powder. In a smaller bowl whisk eggs until smooth. Remove fish from milk and discard the milk. Dip fillets in egg and then in flour mixture. Make sure you have about 1/2 inch of oil in your skillet. Fry on each side until golden brown; about 6 or 7 minutes. Drain and Enjoy! 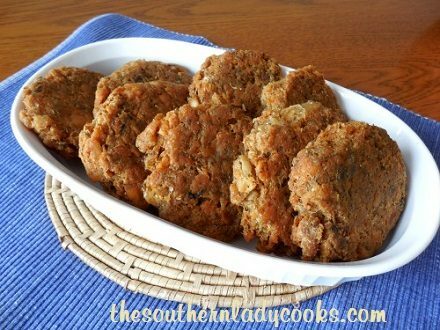 Try these with my Southern Cornmeal Hushpuppies and Coleslaw! I have always used 1/2 flour and 1/2 cornmeal and it makes it really good. 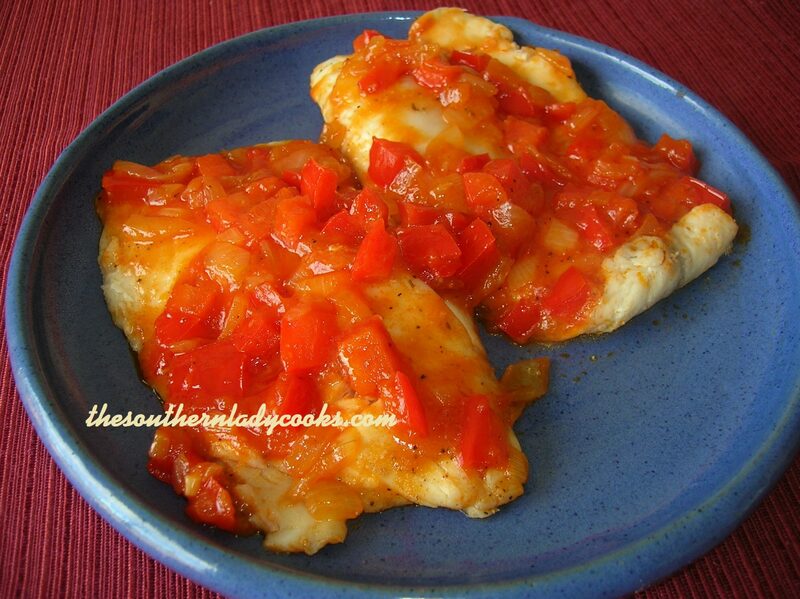 I have to try buttermilk in my catfish and chicken I know its delicious! what have I been missing! I used 1/2 cup of regular flour and 1/2 cup of regular corn meal for the crust. I prepped the recipe and my daughter did the rest. She has the, je ne sais quoi, touch for frying, always crispy, never greasy. Will this work for crappie? Yes, it should work with just about any fish. If I did want to use cornmeal, would I just use that in place of the flour in this recipe? Just found this site and have found so many good recipes I want to try. The Georgia Peach loves southern cooking. I have been cooking such I was about 12 years old. Question: Is that 6 or 7 minutes TOTAL or 6 or 7 minutes on each side? That is total Mimi. When your fish is good and browned on both sides like in the picture. It should be done. Looks justlike pork chops! I bet catfish is YUMMY cooked that way! That looks sooo good! Now I’m craving catfish. I’ve never fried catfish, but I’ve sure eaten a lot of fried catfish. I love how different cooks use different batters. Cornmeal seems popular here in Arkansas. I like that, but I bet I could finish off that whole plate of yours. The buttermilk and flour approach is wonderful. It’s been too long since I’ve been to Grandpa’s Catfish House!